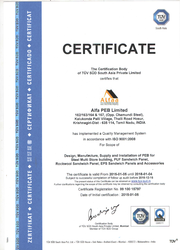 Alfa PEB Ltd., is amongst the leading manufacturers, exporter and service provider and traders of this commendable range of Prefabricated Buildings and Building Components, ever since the beginning of its operations in the year 1992. 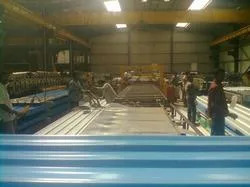 The range provided by us, comprises the finest Pre Engineered Building Systems, Metal Colour Coated Sheets and Light Weight Aluminum Color Coated Sheets, which are highly praised and preferred in the market. Making of this range is commenced as per standards defined by the industry, utilizing the finest raw materials and advanced machinery. This ensures the product’s finishing, durability, sturdiness and resistance to moisture and heat. In addition to this, the finest installation and maintenance services are made available by us in the market at the most reasonable rate possible.We are exporting our quality products in Sri Lanka, Arab country and UAE. 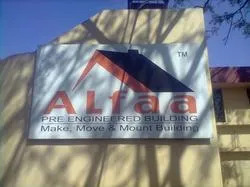 The highly developed state-of-the-art infrastructural facility at Alfa PEB Ltd., has been parted into several highly operational units, for reasons of attaining smoother and effective management of the team’s operations. The facility equipped with all the needed machinery and equipment, facilitates several of the firm’s predefined goals and targets. 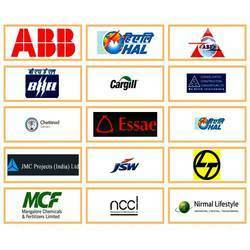 Regular up-gradation of the facility, ensures the maximization of our reach in the market. Further, our huge client base comprising names like ETA Star International, Bihar Tubes Ltd and Minda Projects Ltd, is owed to our highly ethical working habits. Under the leadership and guidance of Mr. Manav Paruthi, our Managing Director, we have managed to attain greater heights of success. His ability to understand the market, analyze and make commendable managerial decisions, have helped us in generating a smoother path to success. ALFA is fueled by team of highly motivated engineers, project managers, skilled workers and marketing professionals. Every member who joins the ALFA team comes in with a great deal of technical knowledge, positive energy and commitment to the professionalism. To this pool, the company adds job-specific technical training & HR-related development programs for continuous learning and growth. Engineers at ALFA have extensive experience in the installation of all major roofing systems with different kind of roofing steel sheets. An in-house software automated design and draft facility complements their skills. The professionals at ALFA has constantly demonstrated their capabilities by successfully executing various projects in the record time. ALFA has a well established infrastructure covering an extensive area of 176,000 sq. feet at Hosur, near Bangalore (Tamil Nadu). 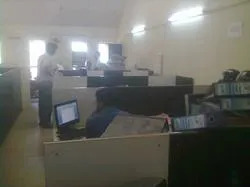 It is amongst few of the manufacturers in India to have a fully integrated plant for all the PEB components like Roof & Wall Panels, Z & C Purlin, Built up sections, coated roofing sheets, coated steel panels and more Regular auditing of complete production process and techniques is done through expert auditors. Necessary modification is done at regular interval to match internationally compatible practices and methods. Driven by the technology, ALFA has one of the largest production capacities of approximately 6,000 tons/month of steel building. Adherence to the Internationally accepted engineering practices in production, planning and control helps to keep up the delivery schedules, products quality and efficient implementation. We are amongst the leading manufacturers, suppliers and traders of this commendable range of Prefabricated Buildings and Building Components. 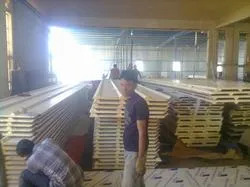 Our manufacturing process involves the utilization of high grade raw materials and modern machines, in compliance with the set industry norms and guidelines. Owing to this, the product’s sturdiness, durability and finishing, is widely praised. In addition to this, the offered range is priced reasonably and is delivered top clients punctually. Our highly skilled and experienced team of professionals at Alfa PEB Limited, is recruited based on their ability and willingness to perform. These professionals help us in the attainment of several of the firm’s predefined goals and targets. In order to manage the team’s operations, in the most efficient and effective manner, the professionals have been parted into several highly operational units. Further, the professionals are regularly trained, for reasons of keeping them at par with the ever changing market.